Rita Dominique, an in-store shopper at Wegmans in Chestnut Hill, filled a customer’s order. Food delivery services are gearing up for the week of Thanksgiving. Kyle Carnes hasn’t been sleeping well. 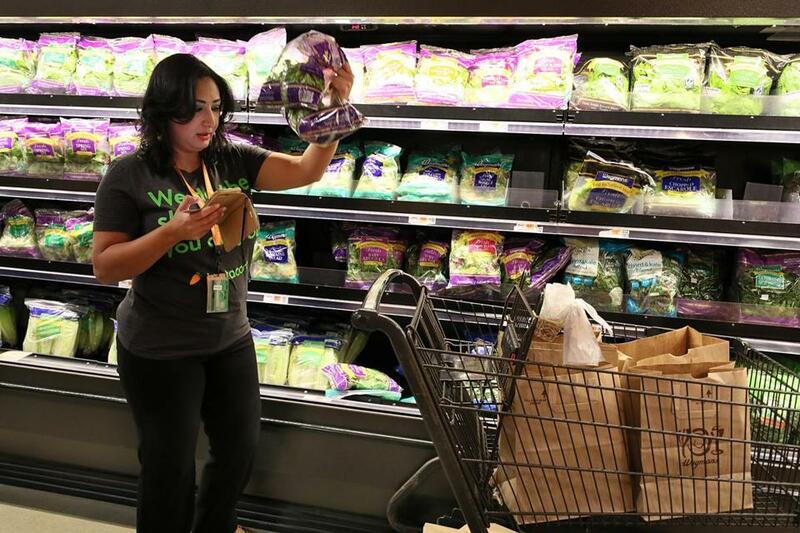 As Northeast regional manager for grocery delivery company Instacart, he finds the week before Thanksgiving is the equivalent of the Super Bowl or a World Series Game 7: The stakes are high. “The idea of someone not getting their turkey delivered in time for Thanksgiving is what keeps me up at night,” he said. Grocery shopping for Thanksgiving can be the worst, as anyone who has lost what seems like hours waiting in the checkout line can attest. So the holiday serves as both a huge opportunity and a test for grocery delivery and pickup services that aim to make shopping less stressful. Most online grocery operators say they see a spike in signups during the holiday season, but the risks are also obvious: Ease the shopping for the big meal and you might win a customer for life. Mess up and risk turning off customers to the entire on-demand concept as you’re bad-mouthed around the Thanksgiving dinner table. 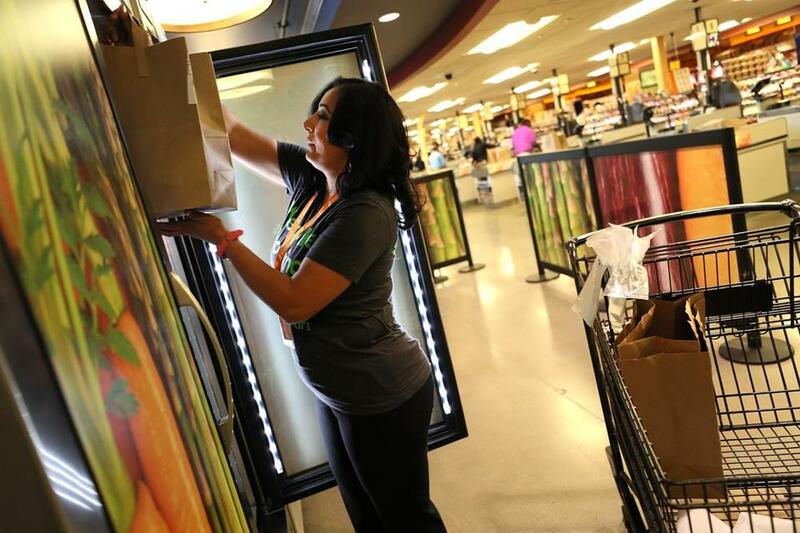 Online grocery purchases account for just a small portion of overall sales — 9 percent of Americans report using such services once a month, and only 4 percent use them weekly, according to a recent Gallup survey — but that is poised to change. The Nielsen research firm estimates that the online grocery industry is positioned for significant growth, approaching more than $100 billion in US sales by 2025, or a quarter of the overall market. That means that securing loyal shoppers now could mean a big win in the long run. “Online is increasingly shoppers’ preferred vehicle to achieve a stress-free shopping experience,” said Meaghan Werle, an analyst with Kantar Retail. Still, while the public has grown accustomed to using the Internet to purchase sneakers and sweaters, ensuring that the precise ingredients for Grandma’s famous stuffing are exactly what’s delivered puts people on edge. But if stores can guarantee accurate service while delivering convenience, they can persuade customers to keep coming back, Werle said. "Getting it right now . . . means you get it right for life," says Ashish Prashar, a spokesman for Boxed, the online delivery service for bulk goods that has found success among millennials who don’t want to pony up for a Costco or Sam’s Club membership. The company got its start four years ago by offering free two-day shipping for items such as paper towels, laundry detergent, and diapers, and it recently expanded into on-demand grocery delivery this summer. This month, Boxed offered a $20 promotion for all the elements of a Thanksgiving meal, including a turkey, brussels sprouts, pie, stuffing mix, and more. It was a way of thanking their grocery customers for their loyalty and encouraging them to shop more, said Prashar. Exceeding customer expectations has also been the goal for Carnes, who says the already tricky game of grocery delivery, which hinges both on getting orders right and delivered fresh, becomes increasingly challenging when a high volume of holiday orders comes in. The Northeast in particular sees a surge in new signups for online grocery delivery around the holidays, he said, which can be stressful to manage. “Grocery delivery is a really, really hard business,” he said, his voice registering a degree of exhaustion. Unlike traditional grocery stores, which tend to see crowds the week of Thanksgiving, most online orders tend to be placed the week prior. And while most retailers bring on employees for the holiday season, Carnes said Instacart isn’t planning to bring in temporary staff. The challenges facing the industry were highlighted earlier this month when Amazon announced it was scaling back its Fresh delivery service in nine states. The move, which followed its Whole Foods acquisition, demonstrates that even Amazon realizes how difficult grocery delivery can be to get right, said Sterling Hawkins, the cofounder of the Center for Advancing Retail & Technology. On the flip side, more people buying groceries online might be good news to both grocery stores and the customers who still choose to shop in them, in the form of shorter lines and faster checkouts, said Carnes. Not only that, he said, but having professional shoppers in a store is like putting Tom Brady in a high school football game. “Our shoppers get in and out fast, they move faster, and fulfill orders with much less space than actual customers,” he said. In-store shoppers such as Rita Dominique move faster around aisles than regular customers, vital for stores during Thanksgiving week.